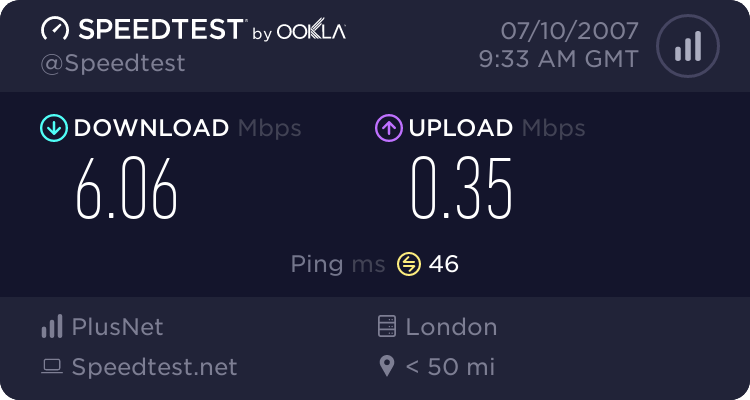 If you aren't on LLU can you run the BT Speedtest and see what result that gives? Packet losses of that magnitude will have a major impact on your speeds. 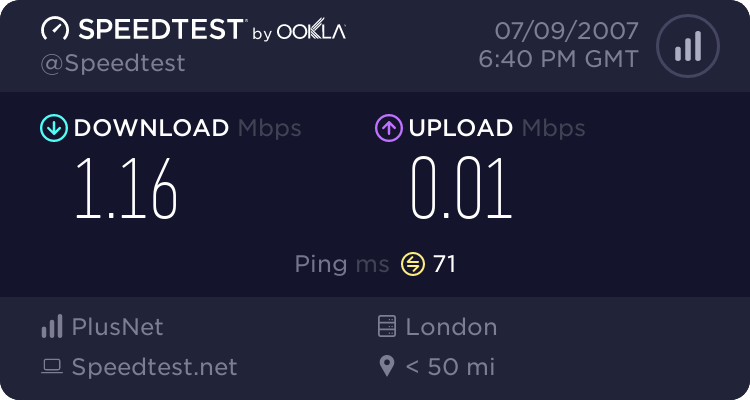 The latency seems a tad high too. 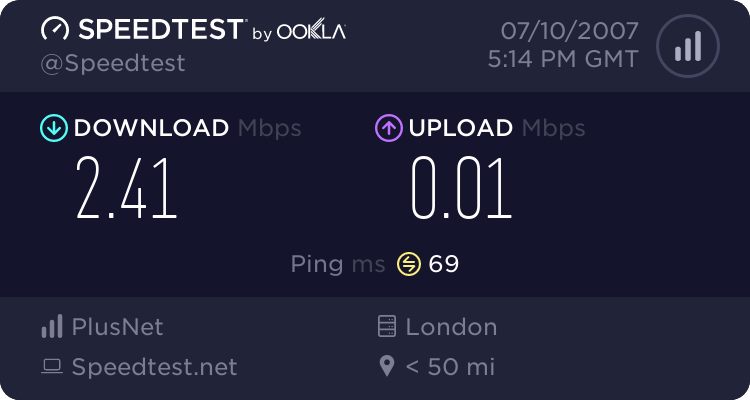 I've just done a test with the following result (on PAYG) . My sync is 7392/448kbps profile 6500kbps. 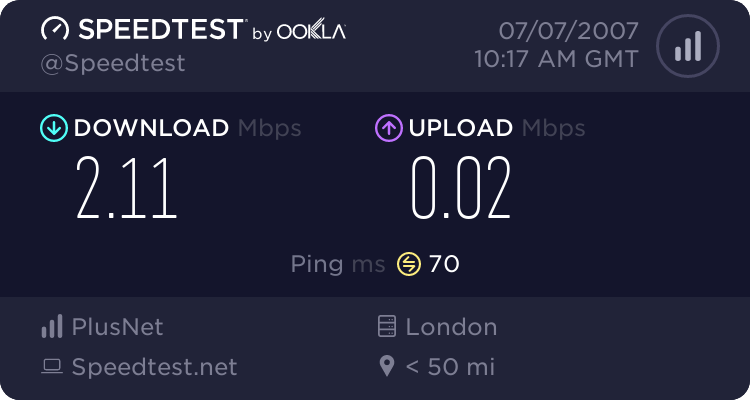 To facilitate further comment please post your router stats (sync speeds, noise margins and attenuations - down and upstream). Mentioning the model of router would also help. I'd also recommend posting the results from a DSLreports tweak test (link). Looking at those stats the first thing to try is the master socket (remove lower faceplate) as something is messing up your noise margin. The thing to note is that I have about the same speed with a slightly higher noise margin but my attenuation is 51dB. With your attenuation of 40.5dB you should be seeing much higher speeds.